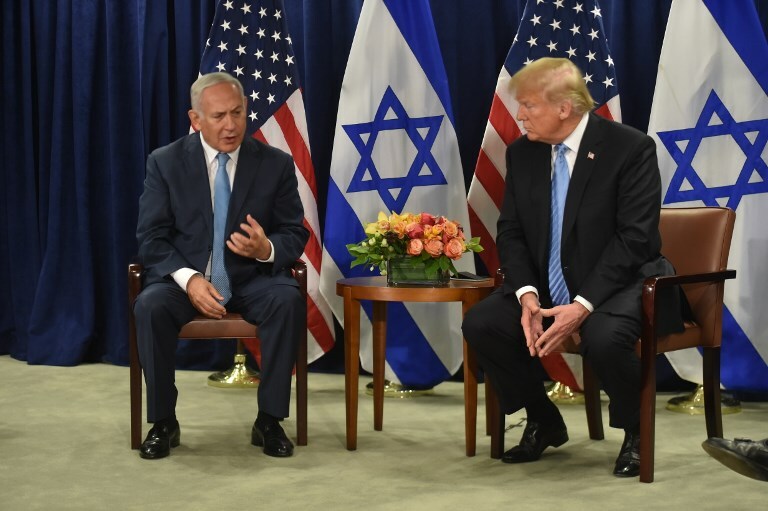 NEW YORK — Israel managed to obtain several guarantees from US President Donald Trump regarding its freedom of operation in Syria, Prime Minister Benjamin Netanyahu said Wednesday. “I received what I asked for. I came with specific points and I got them,” he told reporters in a briefing following his meeting with Trump earlier during in the day. He declined to specify what he had asked for. Netanyahu’s comments came amid a severe diplomatic crisis with Moscow following the downing of a Russian spy plane last week by Syrian air defenses during an Israeli airstrike. Russia announced this week that in wake of the incident, which it blames on the Israeli Air Force, it would provide Syria with the advanced S-300 anti-aircraft missile defense system. The prime minister added that Israel’s deconfliction mechanism with Russia will continue, as will Israel’s determination to act whenever necessary to prevent Iran’s military entrenchment in Syria and its efforts to transfer advance arms to Hezbollah in Lebanon. Netanyahu said he had discussed the downing of the Syrian plane with Trump. “We have a goal, and it is as follows: On one hand, to maintain the security coordination with Russia, and second, to allow Israel to defend itself against” the threats emanating from Iran’s effort to establish military bases in Syria. Still, he maintained, “The greatest threat to Israel does not come from Syria, nor does it come from Lebanon or from what Iran does in Syria, or even from what Iran does inside Iran. Rather, Israel’s number one worry continues to be the Islamic Republic’s ambition to acquire nuclear weapons. “Iran wants to create nuclear weapons with the declared goal to destroy us,” he said, adding that the issue was discussed at great length with Trump during their meeting. Also on Wednesday, a senior Israeli official countered media reports that Russian President Vladimir Putin had turned down a meeting with Netanyahu to discuss the incident in Syria, saying instead that Israel had asked for such a meeting, and the Kremlin had neither rejected nor accepted the proposal. It is likely that the two leaders will meet in the coming weeks to discuss the matter, the official said. This entry was posted on September 27, 2018 at 7:40 AM and is filed under Uncategorized. You can subscribe via RSS 2.0 feed to this post's comments. You can skip to the end and leave a response. Pinging is currently not allowed.